Hi my name is Paula Glynn (Specialised Beauty Technician)and I would like to welcome you to Eyebrows to Nails SPECIALIST Beauticians in Claremorris Co.Mayo. Over the following pages I will give you ideas of the wonderful beauty services I have to offer in a warm and welcoming environment for the Galway, Mayo & Sligo areas. Having received my training by the elite team of trained experts at HD Brows I can offer you a satisfying result in the best of HD Brows. 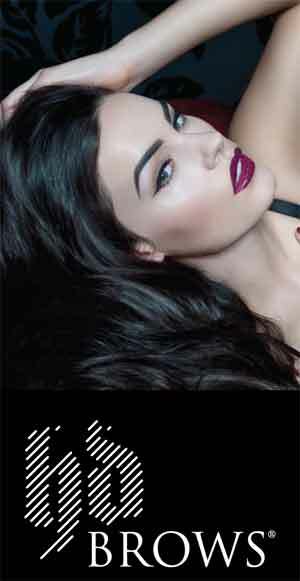 If you want the best for your eyebrows and are in Galway, Mayo or Sligo, then our HD Brow service is for you. For semi permanent brows I am a trained professional in the world of Hair Stroke Microblading by Ecuri. For both beautiful nails & eyelashes, I offer you THE BEST in gelish & LvL. For Spray Tans I can offer you my gold standard organic Vani T spray tan and for the more affordable application I can offer you the latest in He-Shi treatments.Both treatments are applied at Brows To Nails Beauty salons specially designed spray booth which is especially designed for your comfort. I promise you that I am not only passionate about what I do but I am also dedicated to delivering the best possible results to you (my client).